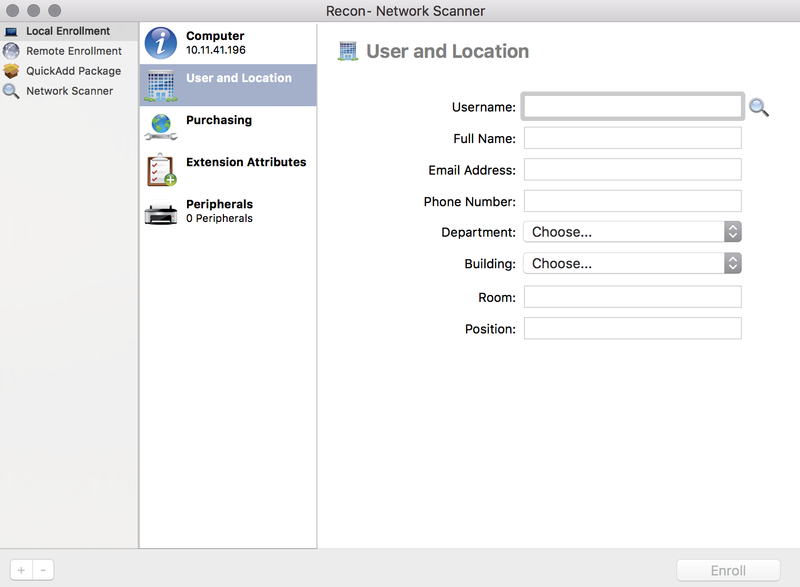 If you have physical access to the Mac computer that you want to enroll, you can run Recon locally on the computer. This allows you to submit detailed inventory information for the computer. It also allows you to add computers to a site during enrollment. On the computer you want to enroll, open Recon and authenticate to the Jamf Pro server. (Optional) Enter an asset tag or use a bar code scanner to enter bar codes. The computer name is populated by default. Enter credentials for a local administrator account that you want to use to manage computers. This can be an existing or new account. 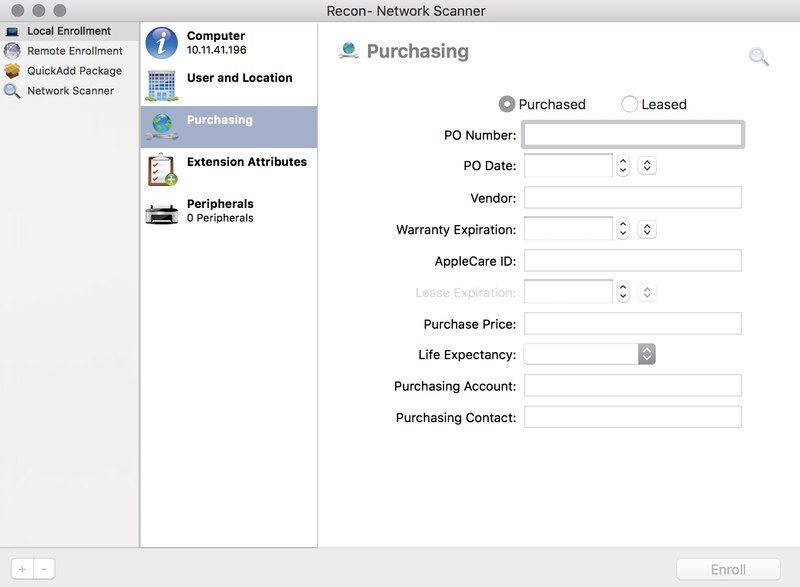 If the account does not already exist, Recon creates it. 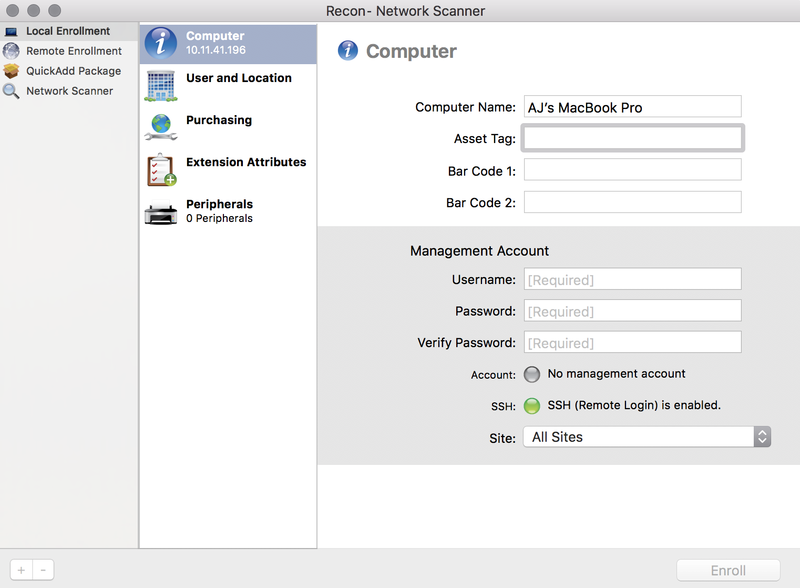 Note: If the account you specify does not have SSH (Remote Login) access to the computer, Recon enables SSH during enrollment.